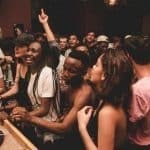 Looking for restaurants outside of Cape Town that are definitely worth a drive? We have you covered. 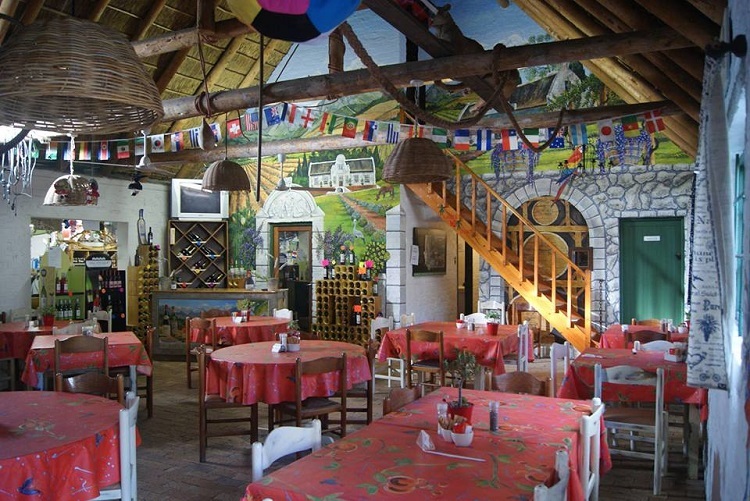 Throughout the Western Cape Province, you will find an abundance of places to dine. 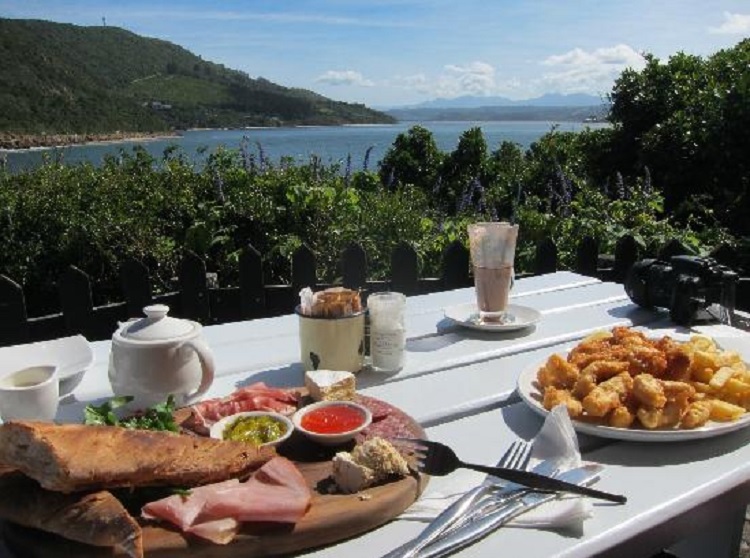 From picturesque cafes in the middle of nowhere to world-class restaurants offering some of the best views in town, the Cape and its surrounds are where you will discover a dazzling variety of restaurants. In this guide, we take a virtual road trip in search of the very best restaurants outside of Cape Town. Join us as we give you expert advice on where to dine when exploring the Cape. About 80km from Cape Town, you will find the West Coast Farm Stall. This relaxed restaurant and shop hotspot is located in Ysterfontein, a popular coastal town along the West Coast route. Highlights include an aviary and plant nursery, a quirky shop selling a variety of goods, and a menu containing various local favourites such as toasted sandwiches, pies, tripe and trotters, calamari and bobotie. As its name implies, The Lovely Grapevine is an adorable coffee shop that is ideal for a day out in Citrusdal. This spot is especially great for tea, with a host of sweet treats on offer. Whether you are passing through en route to somewhere else or visiting Citrisdal to enjoy rock climbing, wildflowers, rock art or beautiful surrounds, be sure to pop in at Grapevine for tea. Highlights include delectable cakes, a tranquil garden, and a relaxed country-style atmosphere. Next door, you will find an equally gorgeous shop selling locally made items. Drostdy Restaurant is one of two restaurants within the Drostdy Museum complex. 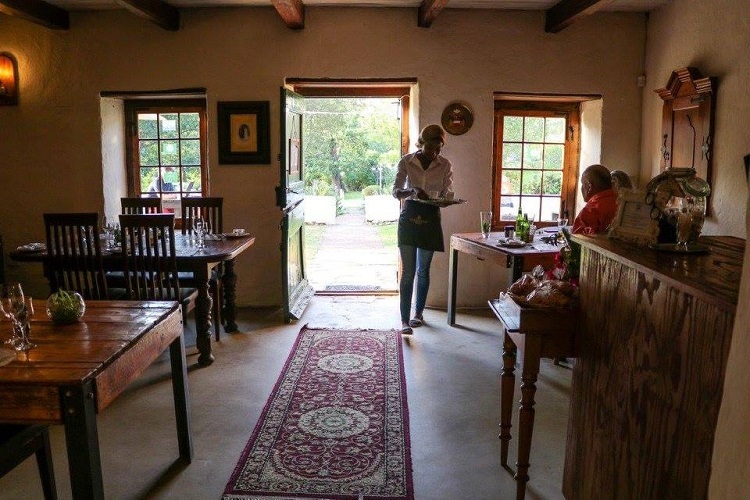 Boasting beautifully restored furniture, fascinating decor touches and an impressive menu, this restaurant is perfect for lunch or dinner in Swellendam. The town is about two and a half hours away from Cape Town, offering the ideal place for a weekend escape. 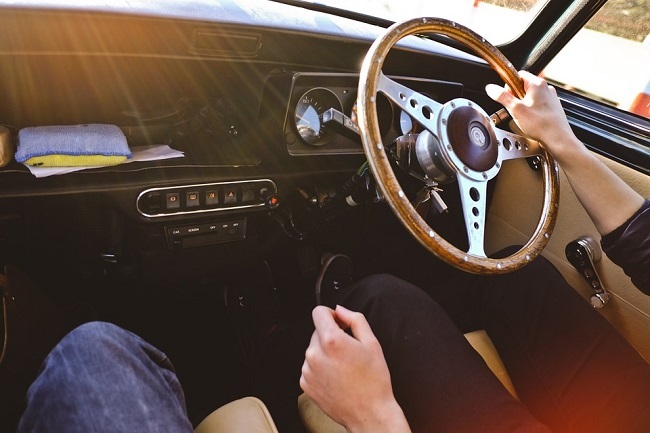 With much to see and do, a meal at Drostdy Restaurant is sure to complete your road trip just perfectly. Knysna is without a doubt one of the most spectacular destinations along the Garden Route. Ideal for a weekend away, this town is home to incredible beaches, nature reserves, and forests. Venture to The Heads and you will find East Head Cafe, a delightful restaurant offering some of the best views imaginable. The menu is also excellent, with a range of dishes to suit every mood, budget, and taste. Pick a table overlooking the water and enjoy the amazing scenery. 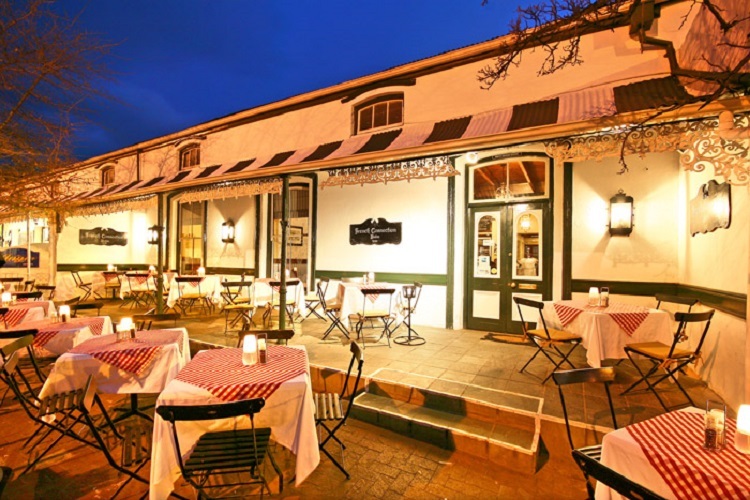 Tolhuis Bistro is situated in Ceres. This spot is especially great during the winter months, from June to July. 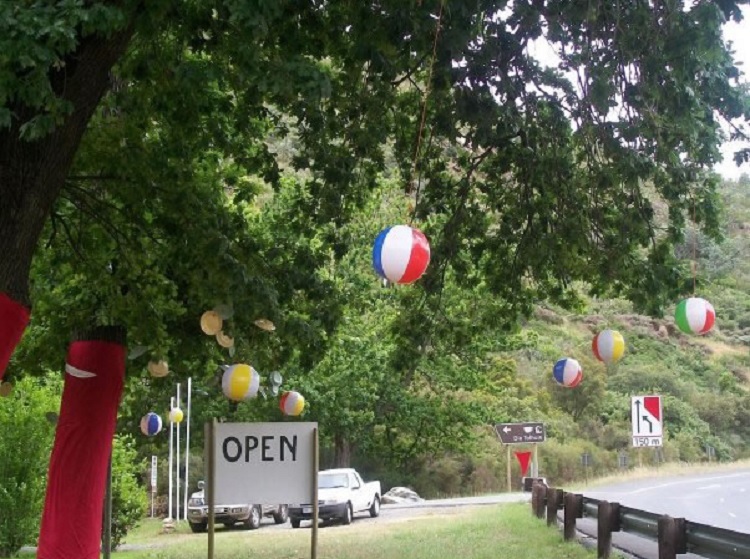 This is when many locals and visitors flock to Ceres in search of snow. It is a beautiful drive that takes just under two hours. 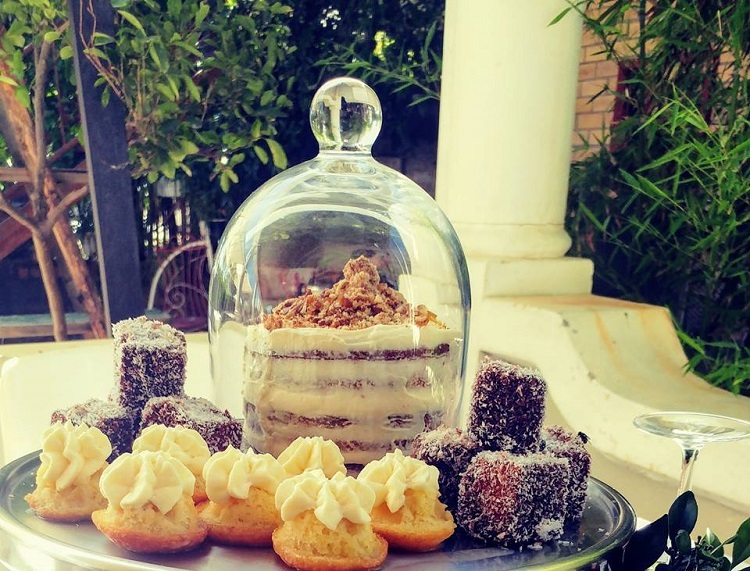 Stop in at Tolhuis for a bite to eat, and enjoy dishes such as summer salad with crispy bacon, spinach and feta quiche with oven roasted beetroot, curried tripe and trotters, milk tart, scones and more. Voted number eight in the 2015 Eat Out Mercedes-Benz Restaurant Awards, Terrior has continued to build an exceptional reputation. 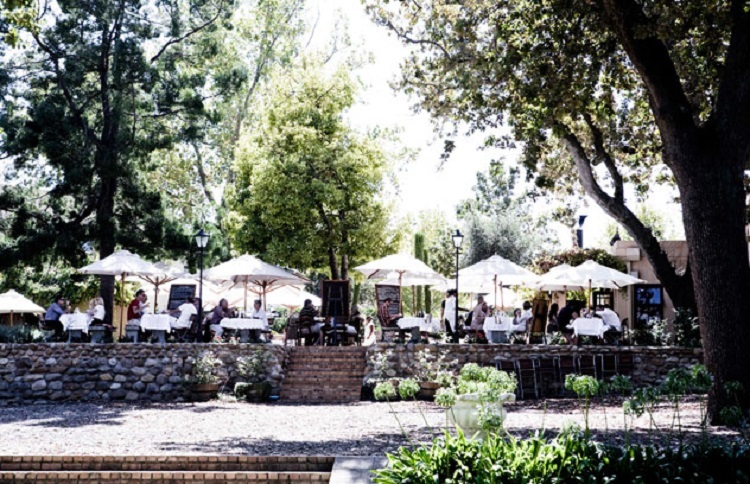 This restaurant is located in the Cape Winelands town of Stellenbosch, within the family-owned estate, Klein Zalze. Open for lunch and dinner, Terrior has a menu offering highlights such as baby beef tartar with burned aubergine puree, quail egg, and salsa verde to tantalise the taste buds. Views look out onto the De Zalze Golf Estate, with a terrace that is ideal for lazy outdoor meals. 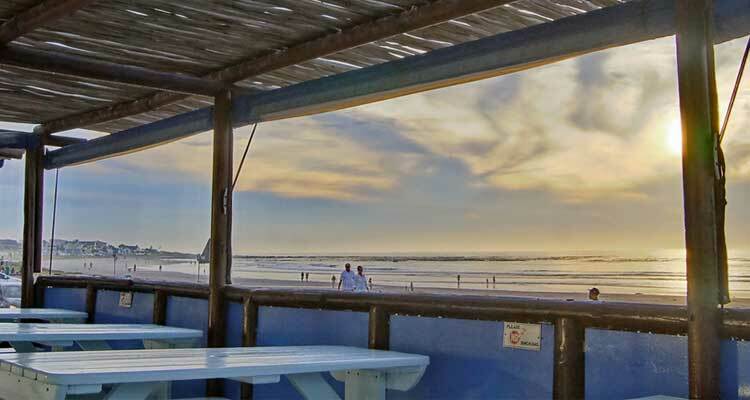 Take a drive to Melkbosstrand, and you will find Cafe Orca. This is easily the best spot for seafood along the West Coast. A wide variety of seafood dishes are on offer, from local mussels, calamari, and prawn starters, to freshly caught Moroccan line fish, oysters, king prawns and various other dishes. Meat starters and mains are also offered, along with salads. The restaurant is located on the beach, which means that you can enjoy a stroll on the sand after your meal to work off those calories. The Cape Winelands town of Franschhoek literally translates to French Corner, and it goes without saying that French food is done to perfection here. 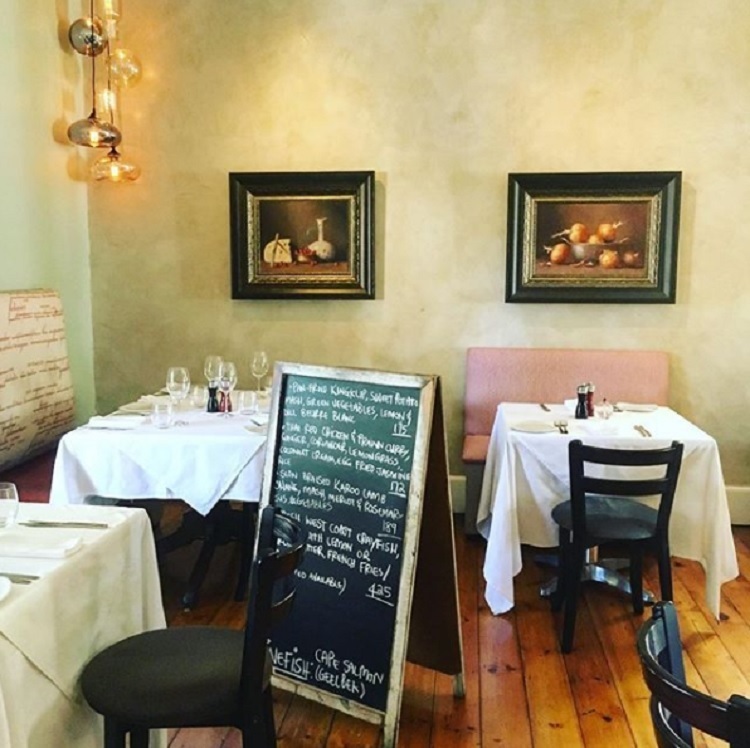 One of the most unforgettable restaurants in the area is The French Connection – a charming bistro that specialises in French cuisine. Lunch highlights include grilled calamari and chourico with wild rocket and paprika dressing, a selection of pitas, plus smoked chicken breast with roasted beetroot, hummus, and garlic yoghurt dressing. The dinner menu offers dishes such as crispy roast duck, fresh mussels, and an excellent steak selection. Sit in the courtyard during summer, or head inside during winter to dine by the fireplace. 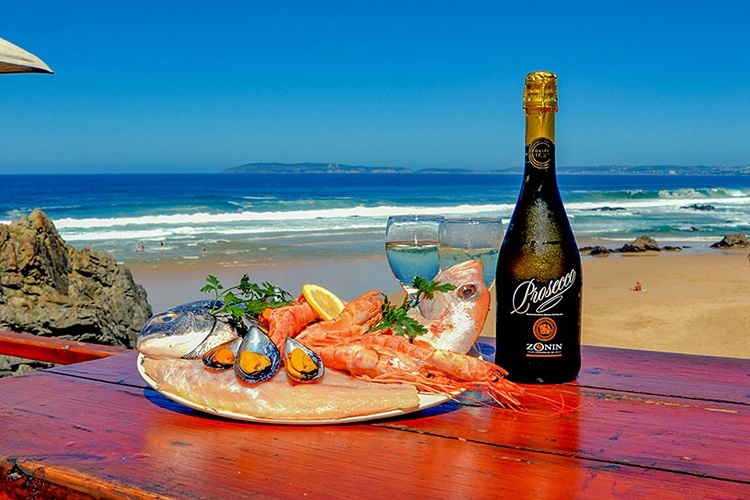 Situated on the beach, Ristaurante Enrico is located just outside of Plettenberg Bay, in Keurboomstrand. Owned and run by a Roman who is passionate about good food, Enrico specialises in Italian cuisine made from the finest fresh ingredients. You will be able to enjoy pizza, seafood, salads and other dishes out in the fresh air, as you look out onto the Robberg Bay. Dolphins can often be spotted in these waters. After lunch, take a walk along the beach in search of seashells. After a day out in this part of the world, you will feel refreshed and renewed. While the Cape Winelands may not be completely away from the city, you will still find many restaurants outside of Cape Town here, less than an hour away. Paarl is one of the three main towns within the Wine Route. Ideal for sightseeing and wine tasting, Paarl is also a foodie haven. One of the top places to eat in Paarl is Noop. Simple, delicious dishes are crafted from fresh seasonal ingredients, with highlights such as their homemade potato gnocchi, pork belly, crisp roast half duck, pan-fried line fish, pineapple creme brulee and apple crumble. This beloved town was featured in our guide to small towns in Cape Town. Oozing plenty of character and charm, Darling makes for a truly memorable day out. 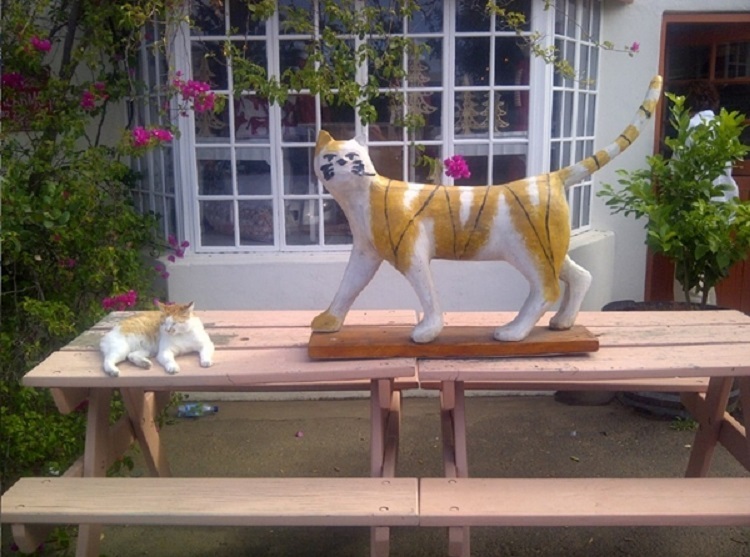 While you’re in town, head on down to the Main Street for a meal at The Marmalade Cat. 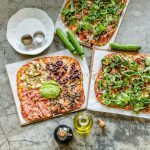 This quirky cafe does breakfast, lunch, and tea, along with dinner specials such as their Friday pizza nights. There is also a shop on site, selling jewellery and other locally made crafts. And, in case you were wondering, the cafe is indeed named after a real life ginger cat, who can often be seen at the restaurant and shop. 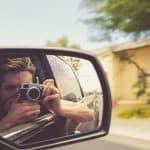 We hope that these ideas give you a better idea of where to start your adventures. For more ideas on where to eat, you can also have a look at our guide to the best restaurants in Cape Town, along with our best restaurants by neighbourhood guide. 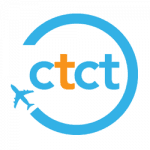 Alternatively, get in touch if you’d like assistance planning the perfect holiday in Cape Town. P.S. Let us know in the comments if you have any favourite restaurants outside of Cape Town that you enjoy!